The rain has been timely and the plants are thriving. Yippee for the rain Saturday night. The plants needed it and so did we to loosen weeds throughout the field. It is a constant task for us, the latest to be weeded is summer lettuce and cucumbers are next. In our kitchen: Basil Lemonade made with basil syrup, broccoli and potato soup, zucchini sautéed with butter, onions, dill, potato salad, kohlrabi slaw, green juice, sautéed kale with rice or scrambled eggs, raw carrots, etc. 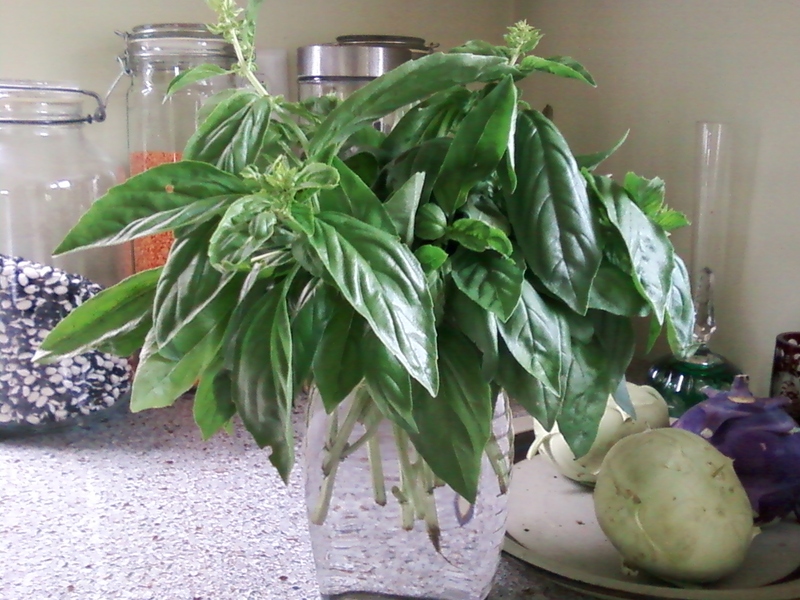 Basil – in a jar (filled with water) at room temperature. 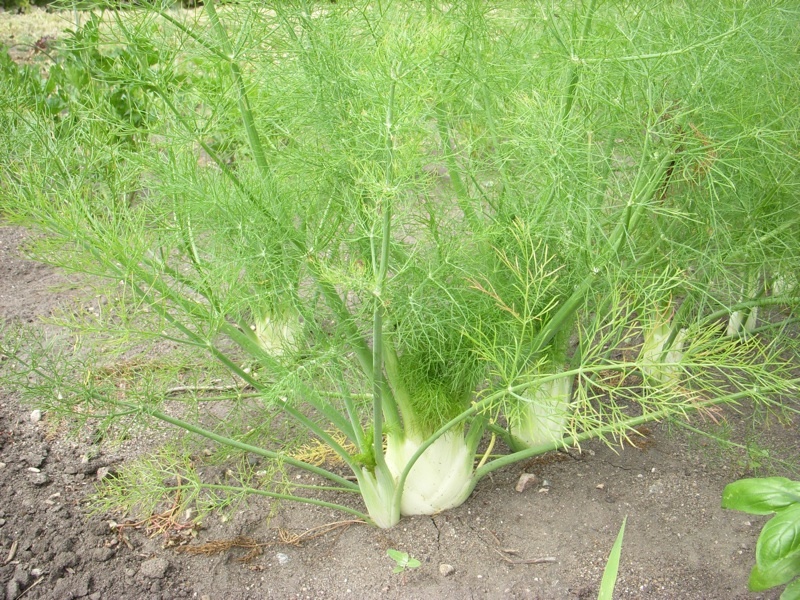 Edible, decorative & aromatic! It feels like summer with the heat and humidity – which the pepper, tomato, watermelon, and other heat loving plants will love and need to grow. 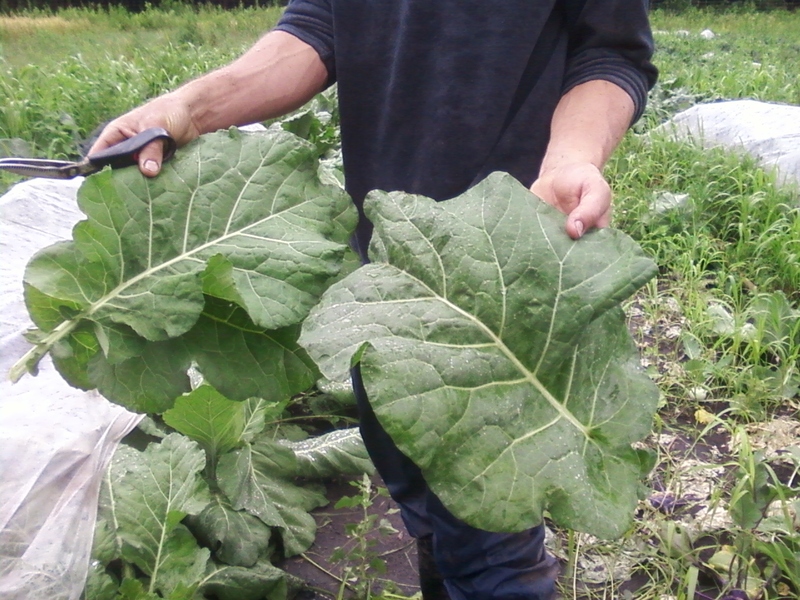 Overall the plants look healthy and we are staying busy pulling weeds – in particular thistle. Hopefully everyone had a relaxing, fun and safe Independence Day on Saturday. Rain, and more rain since around 2 AM with a break around 8 AM and perhaps more on the way today to begin our fourth harvest week. Anticipated Harvest: Collards, carrots, cucumber, kale. rainbow chard, head lettuce, basil, dill, cilantro. 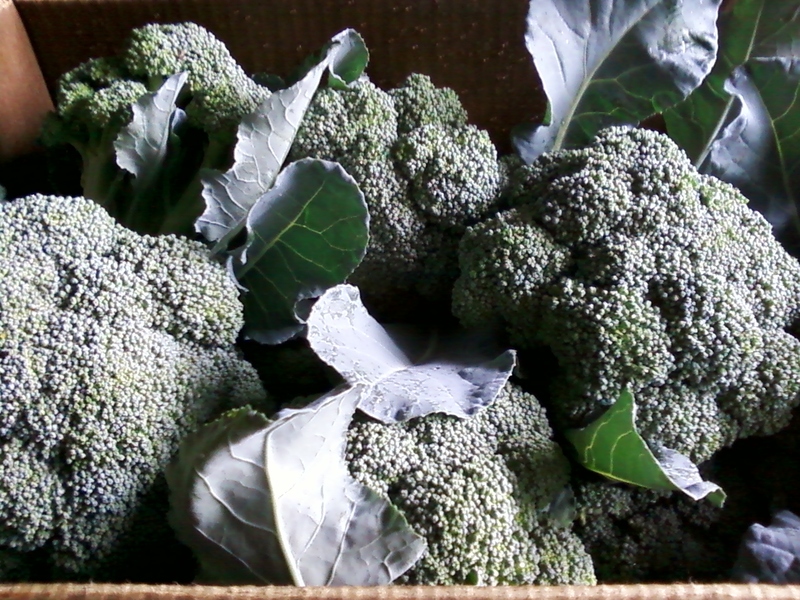 In our kitchen: This week we will be experimenting with collards, as a substitute for spinach.